Join the Belden Club in learning more about the Grand Central Block with Brett Phillips, director of sustainable real estate and renewable energy at Unico, Scott Brucker, Vice President, Asset Management, and Jim Graham, Principal, Graham Baba Architects. 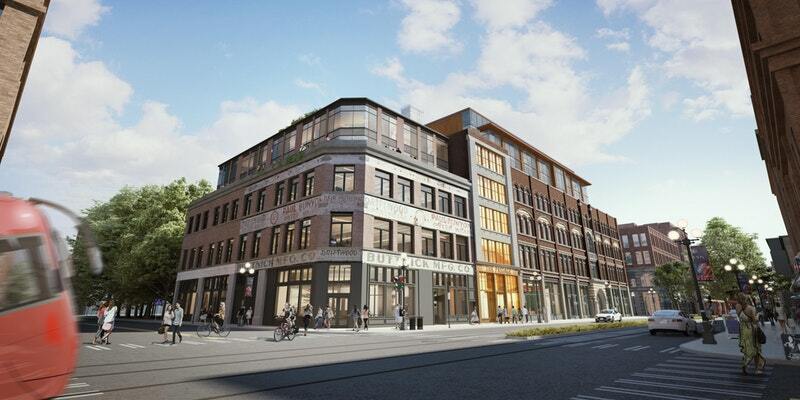 The Grand Central Block is an adaptive reuse project Unico is planning for the Grand Central, City Loan, and Buttnick Manufacturing buildings in Pioneer Square that will invest in significant capital upgrades. Unico has the goal of activating the retail experience on First Avenue and Occidental Square Park, and converting the above retail office spaces to multifamily residential thereby bringing 24-hour residents to mixed-income apartments and vitality to Pioneer Square. Additional floors of residential housing are being proposed atop the Grand Central Building and the Buttnick Manufacturing Building. *Future events will be use our new registration system on the website!